The queen bee's job is to produce more bees and perpetuate the species. 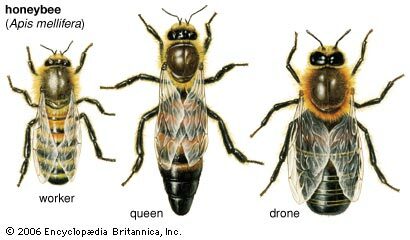 A virgin, or unmated, queen bee flies a good distance from the hive to avoid inbreeding, and mates with 15 to 20 drones. The mated queen returns to the hive where she begins to lay eggs all day long, often producing between 1200 to 1600 per day. Queen are cared for by a retinue of worker bees, called her court, who take care of her every need, and encourage her constant propagation. There is only one queen bee in a hive, except in times of swarming or succession. Queens live an average of two to three years, although they've been know to live up to five years. However beekeepers often kill and replace them annually to ensure optimal egg production. Queens can be identified by their large, extended abdomens. 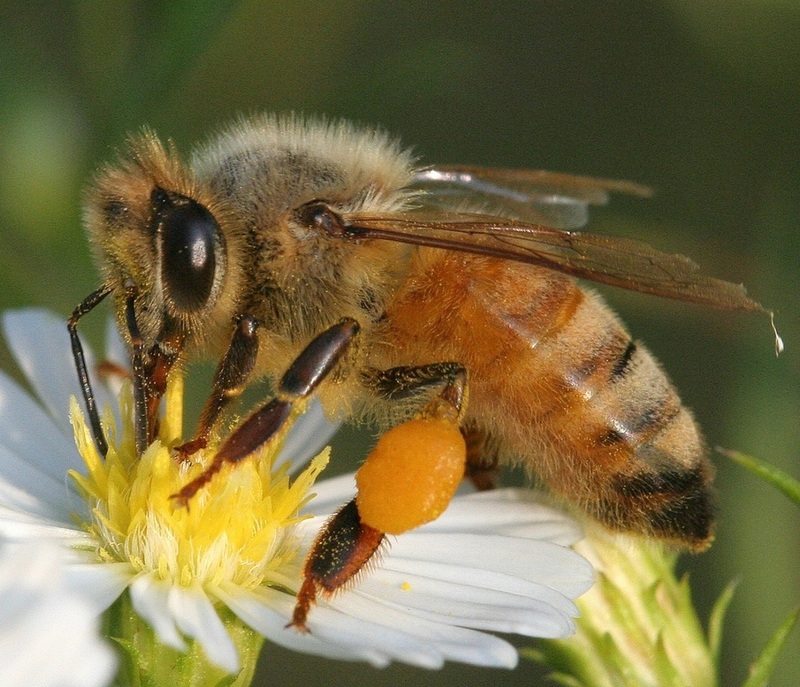 The male bee, or drone, is the result of an unfertilized egg. There are few drones in the hive, except during the spring and early summer when food sources are plentiful, colonies are largest, and most mating occurs. The drone's only purpose is to mate with virgin queen bees. Young drones leave that hive to converge with others at a drone congregation area, waiting for unmated queens to fly by. Drones will die in the act of mating. When food sources are in short supply, the remaining drones are summarily kicked out of the hive to survive on their own, but cannot fend for themselves, and shortly after die of starvation. Drones can be identified by their overall size and their large eyes, used to sight unmated queens. Worker bees are females, but lack the reproductive anatomy of a queen, and perform all of the necessary duties of the hive. The average life span of the worker bee is six weeks. From the day a worker bee is "born" she begins her duties by cleaning out her wax comb cell and preparing it for a new egg, and the future of another bee. Young worker bee duties begin with cleaning and undertaking, and move on to nursing the brood, accepting the pollen and nectar stores of the forager bees. She begins to learn how to fan and ripen the food stores to create honey, and can regulate the temperature and humidity of the hive. By day 12 she her glands have developed, and she can begin to create wax and build comb. At three weeks, the worker begins the important duty of guarding and protecting the hive. the hive. move on to other in-hive responsibilities Soon she leaves the hive for the first time to begin orientation flights. Once she learns the location of the hive, the worker bee enters the final stage of her life as a forager, or field bee. She will begin the important job of collecting food and water for the colony, a very challenging job. Honey bees must visit over 5 million flowers to produce a single pint of honey. When a worker bee finds a great place with plenty of pollen and nectar, she returns to the hive and does a "bee dance" to alert the other bees about her find. Although honey bees have been documented to have flown up to 5 miles to collect food stores, most foraging bees search for food within a one- to two-mile radius of the hive, visiting about 500 to 600 flowers each day, and returning to the colony with the pollen baskets, or corbicula, on her legs full. It is not know whether her demise is caused by the sun's UV rays, or the difficult and exhausting work she performs, but within a short time, the worker bee's time end. Most will die in the field, but those few who expire in the hive are unceremoniously tossed out by the undertaker bees.